Create an Instant Impact at any time of the year where ever you place these beautiful Evergreen Mexican Orange Blossom Trees. Known as Choisya Sundance to give them their full name these are often grown as shrubs, but here we have them in the hard to find tree form. 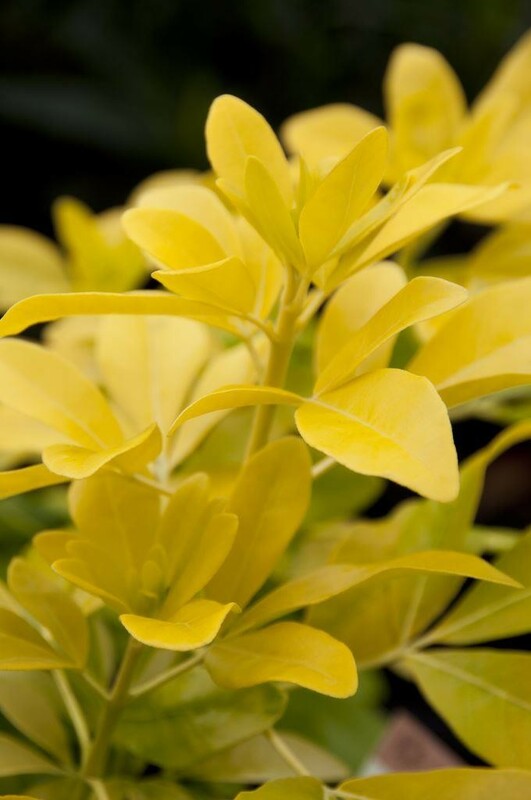 These pretty trees have wonderful golden foliage that is lush and glossy in appearance and retained all year round. They will light up any position in which they are placed. They are known as Mexican Orange Blossom because in late spring to summer they are covered in masses of highly fragranced, lovely small white flowers, adding to the year round charm. Perfect to position flanking a set of steps, a door way or path - of even used as a centre piece in grand patio planters with other flowers planted beneath. The beautiful bushy 'lollipop' heads sit on top of clear stems, they look fantastic paraded either side of an opening or entrance where they will stand guard come rain or shine. These plants add an air of high class luxury and will enhance any area you decide to place them. They're an ideal alternative to Bay trees for example. 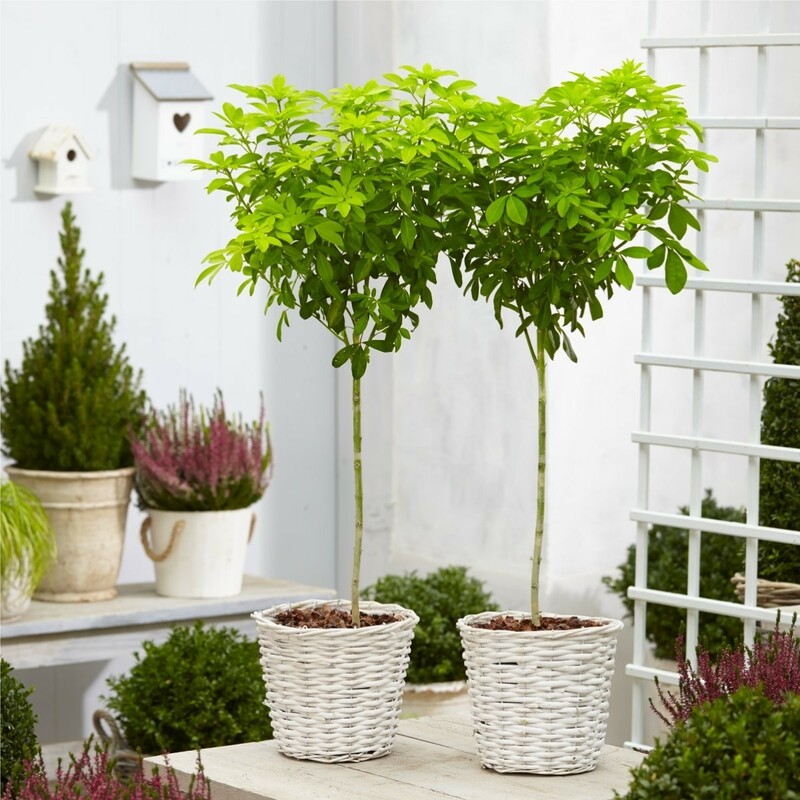 Pair of trees, each supplied with a clear stem, topped off with an attractive lollipop head, the overall height of these gorgeous plants is around 100cms including white baskets as pictured.